Company HR Winery has a whopping 280 hectares of vineyards, located in the village Gbelce and around the six areas. (Szedres, Paris, Papföld, Harasztosi, capers and Mala Bela) has a wide range of varieties and large acreage of vineyards, but the treatment they get select varieties best quality, so production winery intentionally exceeding 130,000 bottles .. .
Wine production is carried out with the help of state of the art technlogy reductive method. The aim of this method, cooling and controlled fermentation is the preservation of typical varietal aromas and flavors, which together with the unique terroir Gbelce (vineyards of Montalcino HR Winery is located in the south-Slovak wine region in the village Gbelce and near a beautiful location in the valley between the rivers Danube and on Hronom where the winegrowing tradition since ancient times and is typical for this area) delivers HR Winery wines their unique character. The uniqueness of terroir Gbelce is given by the fact that this is the hottest area in Slovakia with the highest number of sunny days per year. The land is at the top of humus loam, clayey underneath the marine and freshwater sediments rich in minerals. 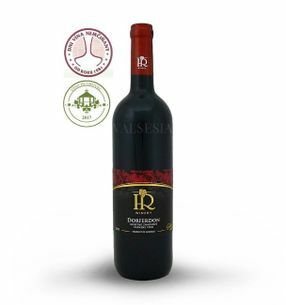 Thus, wine HR Winery harmonious acids with attractive and pleasant minerality and emphasize the uniqueness of the region and the nature of high-quality varieties. There are also 60 years old vines (St. Laurent, Grüner Veltliner) in 2013 were planted with new varieties such as the Danube, Palava area of 20 hectares. 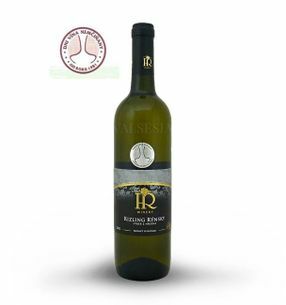 The winery HR Winery is currently on offer wines from many varieties such as excellent Riesling, Welschriesling, Chardonnay, Sauvignon Blanc, Pinot Gris, Grüner Veltliner, Moravian Muscat, Gewurztraminer, St. Laurent, Lemberger, Pinot Noir, Dornfelder, Cabernet Sauvignon and Alibernet.